At the moment i seem to be going through a lip product phase, probably because all of the sudden my lips have been feeling a bit drier recently and i needed to give them some urgent T.L.C. 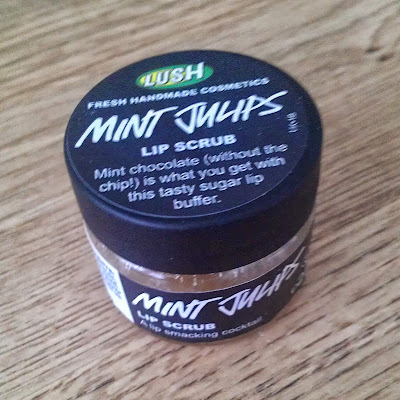 I bought several bits to help with that, as you can probably tell one of them is the Lush Mint Julips Lip Scrub. 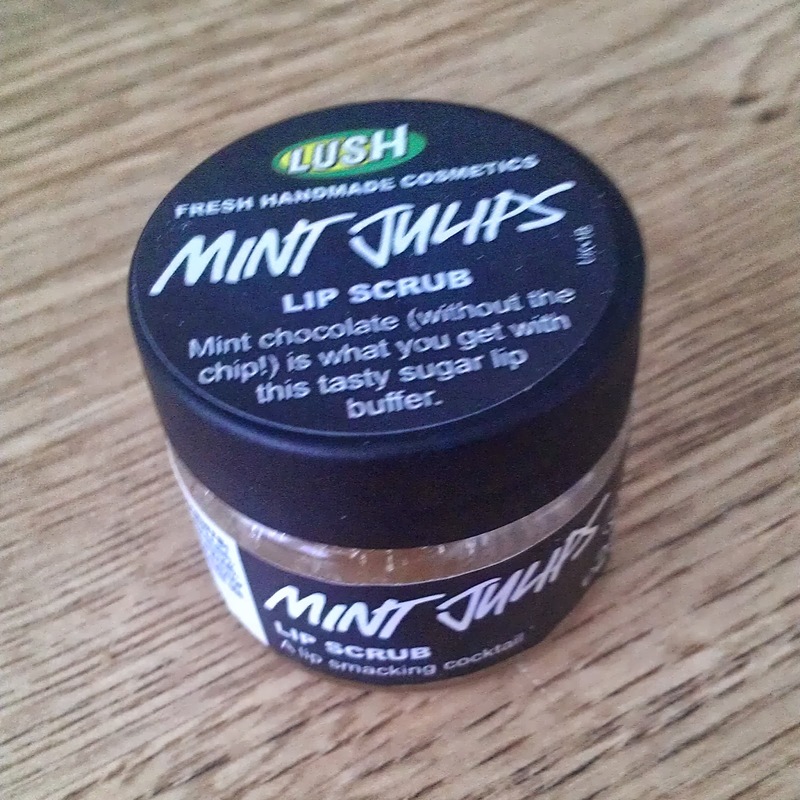 The Lush lip scrubs are so popular and I'm not surprised they are fantastic, i have used the Lush Lip Scrub before and i bought the Bubblegum flavoured one (which seems to be the most popular), i liked it and it did the job nicely i just got a bit sick of the very sweet bubblegum taste so wanted something a bit less-sickly and more fresh..Mint Julips is the one! It has a gorgeous chocolate mint scent to it, all i do is put a small amount of the scrub on my finger and gently rub it into my lips ( to exfoliate and buff ) and when I'm done lick it off ...yep your heard lick it off its pretty much mostly sugar so its completely fine, and as its minty it also freshens your breath, what a bonus! I am then left with lovely soft and smooth lips, this is perfect to use before lipsticks too as it makes them glide on more effortlessly and gives a better finish too, at the moment i am using this twice a day then putting on my lip balm of choice which is normally Nuxe Reve De Miel at night or a Nivea Lip Butter. My lips are now so much better and thankful of my new routine! 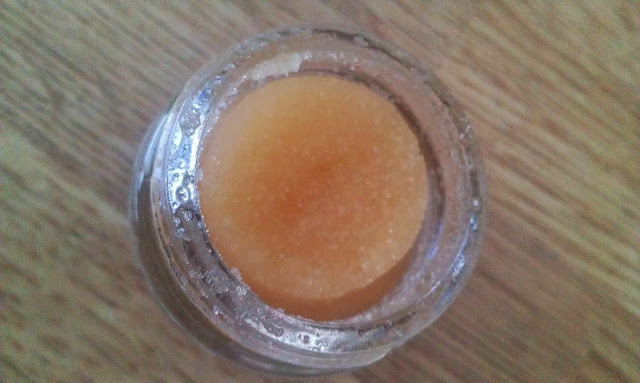 i know there are ways you can make your own at home using some Castor sugar and and various oils but i simply don't have time right now and quite happy paying £5.50 for it as you get quite a bit so will last a while and its in a nice little glass pot too. So which will you be picking up ? 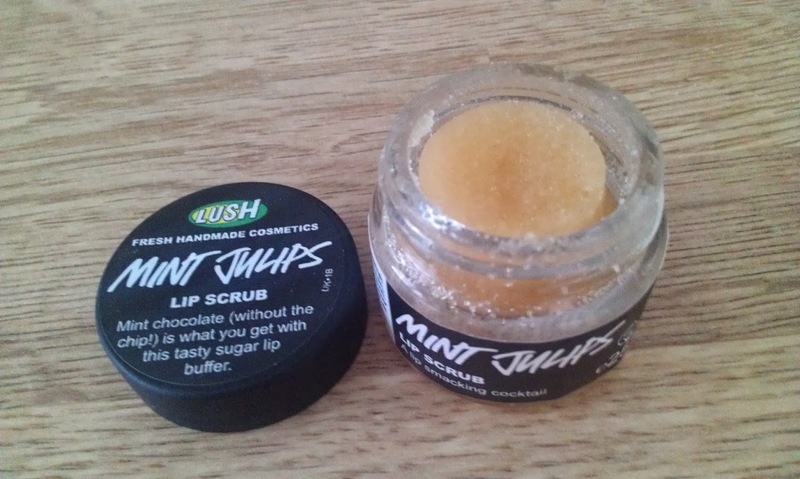 Are you a fan of the lip scrubs by Lush? I bought a pot of this, and the salesman made the mistake of telling me and my boyfriend that it was edible! MY BF ATE IT! He later bought me another... haha and one for himself! I love this one, my fave by far! I've been using this one and the popcorn one a lot lately - I know popcorn sounds bizarre, but it's actually lovely!